Online Tools – Sudden Service Expediting, Inc.
We are proud to offer you the freedom to track your shipment without having to pickup the phone. 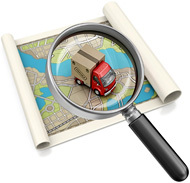 Simply enter your email address along with your track and trace password to view the current shipment location. We have conveniently made available our authorities and other credentials for your review.